Synopsis: Virginia, 1852. Seventeen-year-old Josephine Bell decides to run from the failing tobacco farm where she is a slave and nurse to her ailing mistress, the aspiring artist Lu Anne Bell. New York City, 2004. 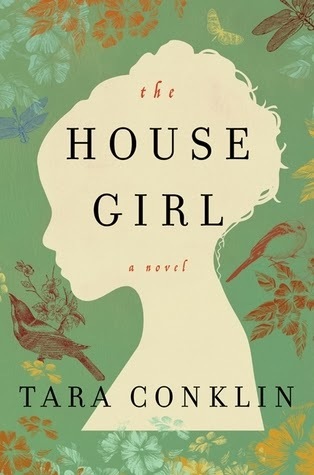 Lina Sparrow, an ambitious first-year associate in an elite law firm, is given a difficult, highly sensitive assignment that could make her career: she must find the “perfect plaintiff” to lead a historic class-action lawsuit worth trillions of dollars in reparations for descendants of American slaves. 1852: After yet another incident at the hands of her master, young girl Josephine Bell resolves to flee her life of slavery, hardship, and abuse. Today: lawyer Lina Sparrow becomes embroiled in a class-action suit that could make history, the ultimate case for an ambitious upstart lawyer. In this dual timeline, the lives of this young slave and this present-day lawyer converge in the present, the subject of high-profile art scandal. Historical fiction, reparation for slavery, an art scandal: on all these counts, I was expecting to love this. Add on all these rave reviews on Goodreads and from bloggers alike. Nothing is worse than having your expectations built up, only to have them totally dashed. I have really mixed feelings about this dual storyline. I loved the Josephine story -- it's compelling, historical, and empathetic. It fleshes out a slave girl's life; it also celebrates art as a function of one's experience and world view. I really enjoyed the insight of Josephine as an artist and feel that this is what could have further been developed in the book. But I thought the Lina story was such a spoiler. Her character didn't evoke much emotion out of me, probably because in comparison to Josephine's life, it all seemed trivial and petty. The quest to learn more about Josephine as part of her case was riddled with convenient and predictable revelations and the pieces fell into place with such wonderful, wonderful timing ... that the ending was a huge let-down. I am not going to go into too much detail in this review, as you may have noticed in its mere length. But I think Josephine's story deserves its own book. Verdict: A dual timeline story of two women whose lives come to a head in an art scandal. Was a disappointing read for me but worthwhile reading if but for the stronger storyline. I recommend this, with a grain of salt, for those who enjoyed The Help by Kathryn Stockett or are interested in stories dealing with slavery in the American south. I received a copy of this book via TLC Book Tours in exchange for an honest review. Not sure this would be my cup of tea, though I loved The Help. I just don't see the similarities enough to give it a go. Plus with dual storylines, it would have to be very well-written to keep my attention. Oh, this is VERY well written, Freda. I had extremely high hopes for it and I would urge you to read it for the Josephine storyline. I've seen this several places and didn't know it was a dual storyline! Sorry the present one wasn't as lovely, but it does sound interesting. I'm glad you liked it! I would have loved Josephine's story very much. Thanks for the link to your review. I enjoyed it!